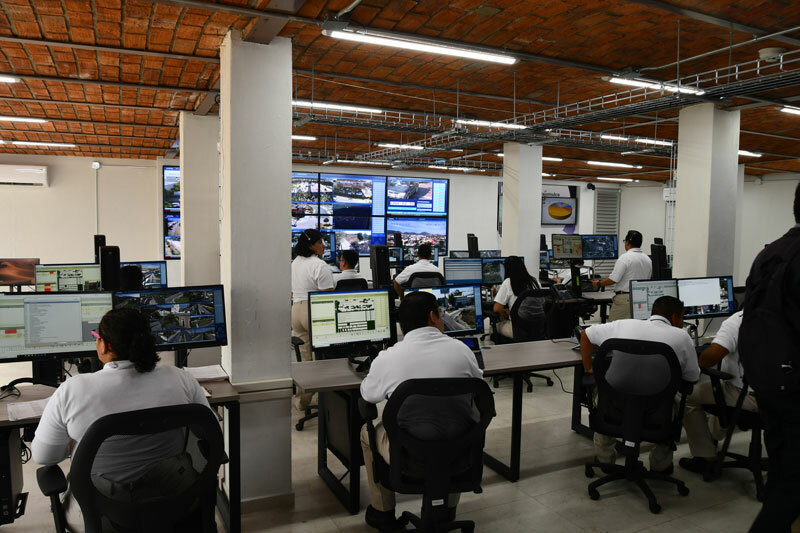 TLAJOMULCO, Mexico, March 16, 2018	(Newswire.com) - The municipality of Tlajomulco, located in State of Jalisco, Mexico, opened its Command, Control, Communication and Computing Center (Centro de Comando, Control, Comunicación y Cómputo (C4)) last month, a culmination of two years of hard work. The C4 utilizes SafetyNet CAD, SafetyNet Mobile Insight and the SafetyNet CAD Video Management System (VMS) Interface amongst other SafetyNet applications. Pulsiam President Henry Unger was in attendance for the grand opening. The C4 will now be able to monitor 144 different locations throughout the municipality through 555 security cameras, according to Publimetro.com.mx. This could not have been achieved without the SafetyNet CAD VMS Interface, which allows call takers and dispatchers to manage multiple streams of video footage from surveillance cameras, directly from SafetyNet CAD. Pulsiam established itself as a leader in the public safety software industry in 1986. The company prides itself on meeting the needs of public safety agencies with its SafetyNet Suite. Pulsiam is committed to tailoring its SafetyNet product line to adapt to the changing technology of this mission-critical industry.